Brit Geraint Thomas finished first on Alpe D’Huez Thursday, after winning a battle up the final cote on one of the toughest ascents in the Tour de France. Thomas won over teammate and presumed leader of Team Sky, Chris Froome, whom he has repeatedly led out and lost to in countless stages. Now Thomas is the first Brit ever to win at the Alpe D’Huez, making history. He outsprinted Tom Dumoulin, Romain Bardet, Froome and Mikel Landa to extend his lead in the overall ranking. How did this happen in the careful world of cycling team hierarchy? 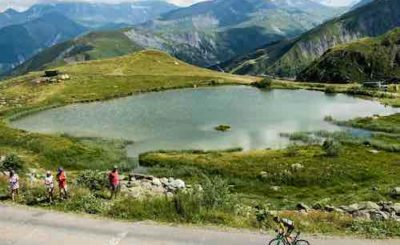 After a fast start in the Tarentaise valley, Warren Barguil (Fortuneo-Samsic) was the first climber up to the col de la Madeleine. A front group of 30 riders was formed up the hill and split several times. 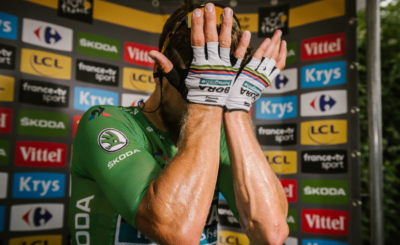 GC contenders Steven Kruijswijk (LottoNL-Jumbo), Ilnur Zakarin (Katusha-Alpecin) and Alejandro Valverde (Movistar) were part of it, as well as KOM fighters Julian Alaphilippe (Quick Step), Serge Pauwels (Dimension Data) and Barguil. Alaphilippe outsprinted his two rivals to extend his advantage. Alaphilippe and Gregor Mühlberger (Bora-Hansgrohe) rode away in the downhill of la Madeleine. They waited for their former breakaway companions. Pierre Rolland (EF) escaped at the exit of the feed zone of Saint-Avre (km 74.5). 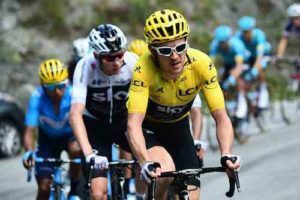 He topped the Lacets de Montvernier alone in the lead and got reinforced at the bottom of the col de la Croix-de-Fer by Valverde and Kruijswijk who was the virtual leader of the Tour de France as Team Sky led the bunch with a deficit of four minutes. Barguil was first to rejoin them up the hill and it became an 11-man front group with 80 km to go. Kruijswijk rode away solo 73 km before the finish. He got a maximum advantage of 6’15’’ over the peloton led by Mathias Frank for AG2R-La Mondiale and later by Marc Soler for Movistar but Team Sky seized the reins of the pack again in the descent to the Oisans valley. 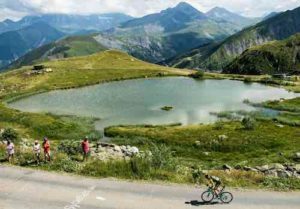 Kruijswijk started climbing to Alpe d’Huez with an advantage of 4’20’’ over a group of thirty riders comprising all the members of the top 15 overall. It was down to 3’30’’ with 10km to go. Successively, Vincenzo Nibali (Bahrain-Merida) and Nairo Quintana (Movistar) tried to escape but Team Sky brought them back quickly. The offensive of Romain Bardet (AG2R-La Mondiale) with 7.5 km to go enabled him to ride away until he got caught with 4 km to go by Froome who overtook Kruijswijk 3.5 km before the line. Bardet attacked again with 2.5 km to go. NIbali crashed and then while chasing back, five riders were reunited at the front and Thomas proved to be the fastest. 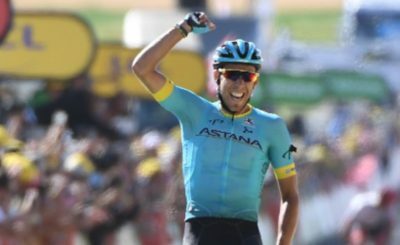 He also took the 79 th yellow jersey of Team Sky (since 2012), just as many as Movistar who was leading the tally among the participating teams of the 105th Tour de France.